To all Althea fans, Here's something new! The reason behind her name? Do you know Korea's national flower is called Mugunghwa aka Althea? It is actually a hibiscus syriacus species, which is the same as our national flower! 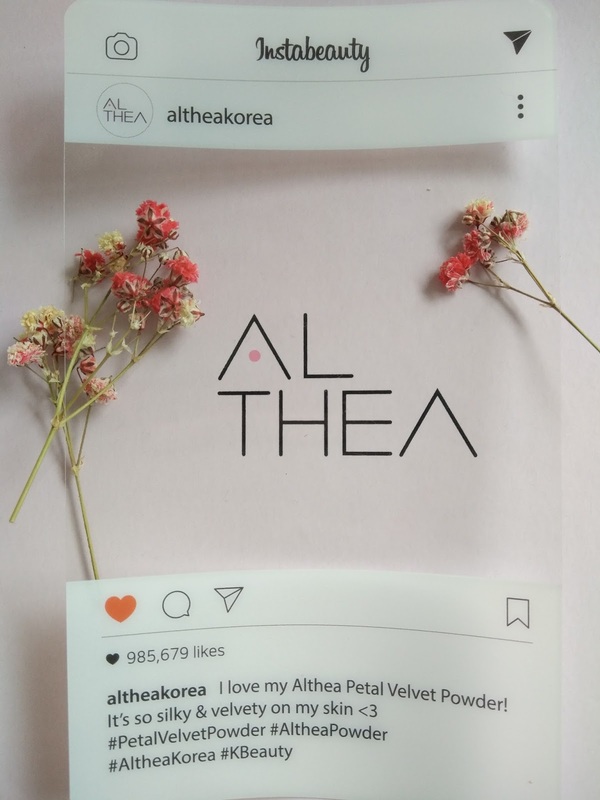 Althea Petal Velvet Powder is made from none other than the Althea flower, one of the most resilient flowers that contains natural antioxidants to protect the skin barrier from dehydration and premature aging. It also sheilds that skin from UV radiations from the sun. 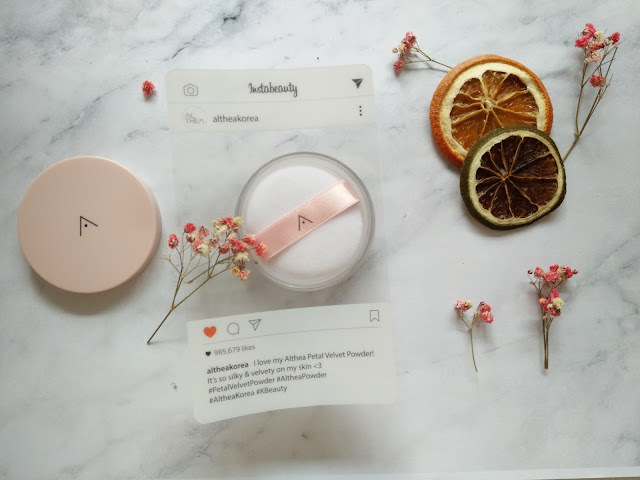 As only natural ingredients is used in the Althea Petal Velvet Powder, it is suitable for all skin types. When I first open the tube, the first thing that impressed me was the floral fragrant. It has the exact smell of a hibiscus which is a nice exchange to the usual powdery smell. If I thought I knew loose powder well, I was wrong. The texture of the Althea Petal Velvet Powder is so much finer than those I have used before (you would normally be able to feel the fine powder grains with your finger tip). 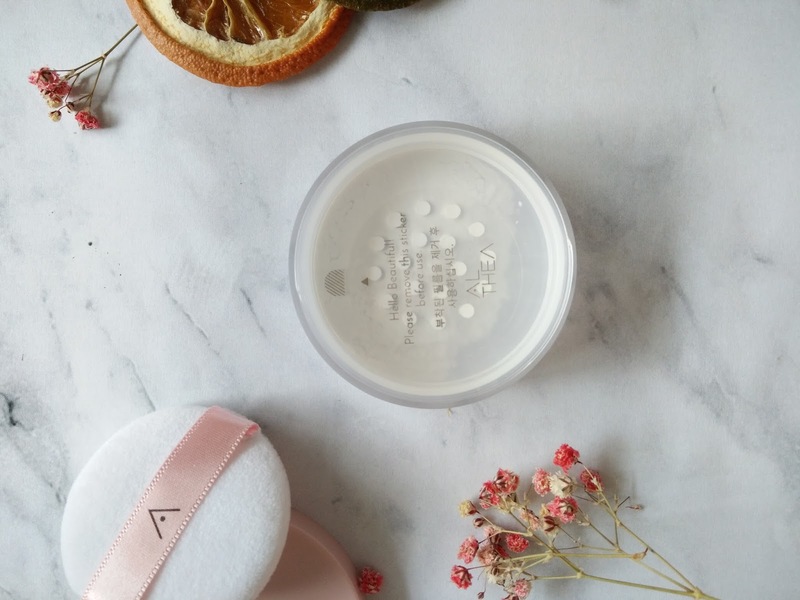 However, this translucent powder felt very smooth on the skin and due to the finer texture, the powder was able to stay longer on the skin. It lasted me about 6hours indoor (could be longer but I have combination skin). I supposed the blurring effect works only on those normal skin; it didn't manage to blur out any obvious acne scars I had but helped a little on those open pores. 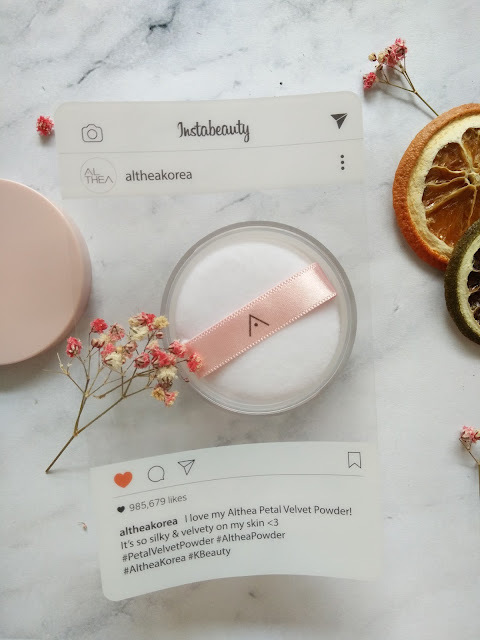 Living in a humid country left us sticky and sweaty by half of the day; Althea Petal Velvet Powder leaves a matte look that looks fresh until it's time to blot and touch up (TBH I hate looking shiny like a mirror, blot and touch up is my beauty ritual). Weighing at 3g, the amount is lesser compared to other brands but again, looking at the price we are paying for it; Less is definitely more. 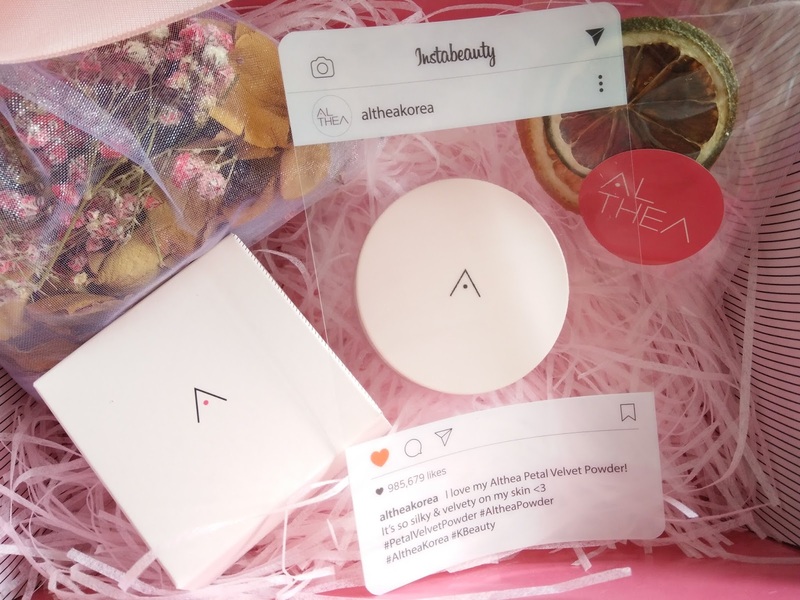 The mini Althea box will make a good addition to the Althea Box collection. Sign up here to get RM30 off your first purchase.